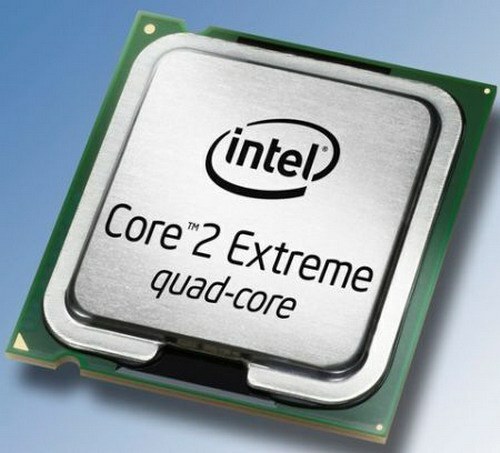 If you are thinking about upgrading your computer, you may want to change your processor to a new model with higher clock speed or more cores. 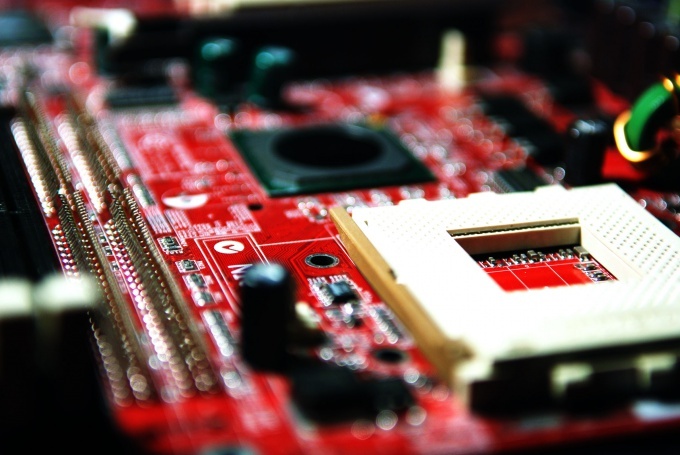 When choosing a processor it is necessary to consider its compatibility with your motherboard. Otherwise you may waste your time and possibly money, if the store's not going to change the other. The first thing you need to know from which company you have a CPU at the moment. Today, their only two: AMD and Intel. It can be done. Just right click on "My computer". Then select "Properties". A window will appear in which you will be able to see this information. If you have AMD processor, then it means that you can pick up a new will from AMD. Similarly with Intel. Now you need to know the socket of your motherboard. From a socket Board depends on what kind of processor it will do. This can be done in two ways. The first way is to look in the manual (the manual for your motherboard). There must be information about the socket. If you do not have a manual transmission, you'll like the second method, namely the use of special software. Download online free program CPU-Z. Unzip the archive to any folder. Most versions of this program does not require installation. But not all. If you downloaded the version of the program which needs installation, you will need to install it to PC hard disk. Run the program. In the first of her window, locate the line Package. The value of this string is the version of the socket of your processor. Now that you know on the Internet to see which processor will fit your motherboard, and choose the most appropriate model for you. And then purchase it in the store. 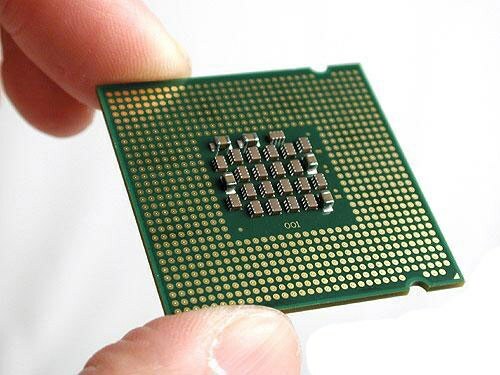 Also, many online stores have online services through which you can pick up a CPU for your socket. If you don't want to bother to search for a CPU, you can just record a version of the socket of the motherboard. Then go to any computer store, show it to the seller, and he in turn will help you to choose the processor that will be compatible with your motherboard. View of your computer specs it may be necessary for each user. When you need to diagnose the health of individual components, without information about the models installed devices can not do. You can use the as special programs and built-in Windows tools. The easiest and fastest way to see your computer specs is to use standard Windows programs. So to find out the model of processor and amount of installed RAM, click the right mouse button on the icon "My computer" and select "Properties". In the window that appears you will see this information, as well as the operating system version and other information. Learn more view your computer specs by going to device Manager via Control Panel. You will see a tree view list of installed devices. Expanding each item will show which components belong to it. Going into the device properties, you will be able to see the characteristics of each of them. Often, however, the property search the right parts takes a long time because of some inconvenience for the submission of information, as well as its incompleteness. There are special programs that allow you to view your computer specs. They are widely known and popular. These include, for example, SiSoft Sandra, Lavasys Everest, PC Wizard, HWiNFO32. Some paid, some not. Find the Internet their distributions is easy. Further we consider the example of Lavasys Everest. After installing and starting the program you see the main window divided into two major fields of information. On the left are grouped the list of devices, right – detailed information about each device. For example, you need to know the model of installed RAM. To do this, in the left side menu, expand "motherboard" and select "SPD". In the right part of the window you will see a detailed description of the installed memory modules. Similarly, we can find information on each device. Not all users who buy a computer have at least a basic understanding of it. For many, the most terms and concepts are unfamiliar. For example, buying a computer, these people begin to wonder whether writing them or not. Inexperience they just don't know what the computer can't be writing or not writing, and the ability to record information from it depends on the characteristics of only one of computer peripheral. The ability to record information from the computer to the drives depends on the optical drive (drive) of the computer. It is the type of drive determines its functionality. To find out whether your writing drive, open "My computer". Look at the icon of your drive, written next to its type. If at the end of the drive type has the inscription RW, so it can be used to write information to discs. Also can be the situation when the name of the device written in Multi. 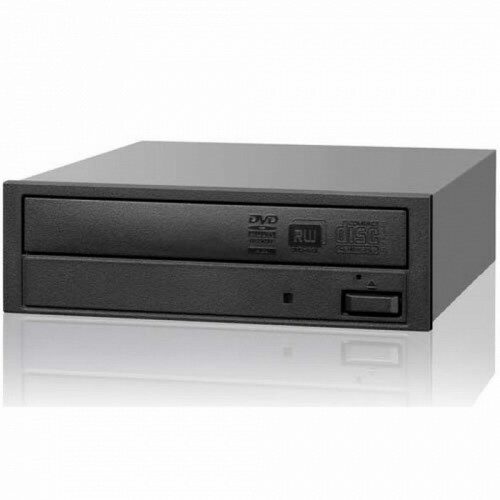 This also means that the optical drive has the function of recording information on the disks. Also more detailed information about the drive type and model, you can learn in this way. Click on the icon "My computer" right-click. In the context menu select "Properties". Then select "device Manager", and in it find the item DVD / CD-ROM. Click on the arrow next to it. Displays model name of your drive. The first word is the manufacturer of the drive, the following letters indicate the type. If written letters DRW, this means that the drive can record information such as DVDs and CDs. In the case of specified letters of CRW, so the drive can read only CDs. Accordingly, to record information) or on CD-ROMs. If it says CD-ROM, it means that the drive can read CDs. But write the information. It is also possible the DVD-ROM. If this is the case, then your drive can read discs formats both CD and DVD. But write to them using this type of drive is also impossible. Can you find the reference CD/DVDW. These drives read CD media, and DVD. To record on both types of optical media. If you were not a recorder, it's okay. It can be quickly replaced on the writing. Especially now the prices are low. And actuator replacement - a matter of minutes. You may not know the detailed configuration of your computer, but there are a few components of the PC, which you must have. One such component is the CPU. The parameters to it are specified in the system requirements for any software. Also, when you select other components to your computer you need to match them with the capabilities of your CPU. - the program CPUID CPU-Z. There are several ways to learn model processor. The simplest way is to look at the package to him. But if you bought already assembled computer, it may not be. In some cases, the model processor can be viewed in the warranty card, if it has a description of each separate component of your computer. Also some brands of motherboard during system boot specifies the model of the processor. But since this screen will be displayed just seconds, you can not make it to see the desired information. Other ways to find out information about the model of the CPU can be noted using standard operating system tools. Just right click the icon "My computer". A context menu will appear. In this menu select "Properties". Window will pop up that will basic information about your system. In this window you can view and information about the model of the processor. You can still use this method. Click "Start". Select "All programs", then "Standard". In the default programs, click "Command prompt". At the prompt, type dxdiag and press Enter. In the section "system Information" look for the component "Processor" and view information about its model. If necessary, you can save the data about your system in the text document. To this end, the bottom of the window click on the button "Save all information". In the window that appears, enter the document name and choose a location to save the file. Then click "Save". You can also use the program CPUID CPU-Z. It is easy to find online. Utility weighs only a few megabytes. Besides, it's free. Install program. Start it. In the first window with detailed information about your processor. In the line Name you can find information about his model. Underneath this line you will find information about other parameters of the processor. The need to know your computer specs on Windows 7 can occur for various reasons. For example, it may be necessary to check the status of all devices, their renovation or replacement. You can find out your computer specs on Windows 7 via the menu "system Properties". To invoke, right click on the icon "My computer" and select "Properties". This will open a window with the basic information about the computer such as the CPU and the bit size, amount of RAM, type and bitness of the operating system, the availability of affordable devices for touch input, etc. When you need more details of your computer specs on Windows 7 start service "device Manager". This can be done from the menu "system Properties". Underneath each of the groups, the system devices there is a plus sign, clicking on which opens a menu with more detailed information about the hardware installed. Here you can activate or deactivate the devices and update their drivers. Get system information using a special service of the same name. Open "control Panel" and launch "administrative tools". Go to the tab "Service" and among the list of available services, select and start the "system Configuration". This will open a window with detailed information about hardware resources, components, and software environment. If you want to know what is installed on the computer graphics card, right click on the desktop in the menu that appears select "screen Resolution". Click "advanced settings". Here you can see the type and the name of the adapter as well as all the detailed information about it. Use one of the special programs to view the performance of your computer running Windows 7. Most popular and free are apps HWiNFO32, SiSoft Sandra, PC Wizard and Everest Lavasys, which are available for download on the Internet. Start any of them and you will get access to the fine system settings, and will also see in the main menu, function information about all the devices in your computer. If you have a laptop, you can learn its characteristics, just watching it on a special sticker, which have almost all models with rear or front side.